WASHINGTON (March 21, 2011) – Existing-home sales fell in February following three straight monthly increases, according to the National Association of REALTORS®. Existing-home sales, which are completed transactions that include single-family, townhomes, condominiums and co-ops, dropped 9.6 percent to a seasonally adjusted annual rate of 4.88 million in February from an upwardly revised 5.40 million in January, and are 2.8 percent below the 5.02 million pace in February 2010. 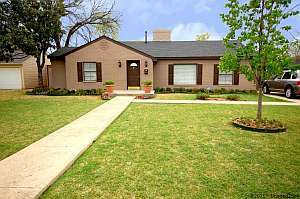 Dallas TX Home For Sale – 1940s charm with modern updates. Nice single level home has been completely updated including refinished oak floors, marble flooring in wet areas, granite countertops, stainless appliances, attic insulation, Tuff shed, steel entry doors, roof, hot water heater, fresh exterior paint, slate patios, and updated landscaping. Owner has approved plans for extended master suite and 3-car garage. Easy access to Love Field, Dallas Tollway, and downtown. 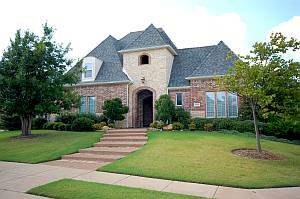 Dallas Texas Home For Sale for Current Pricing, Details, Photos, and Virtual Tour. Garland TX Home For Sale – Wow! 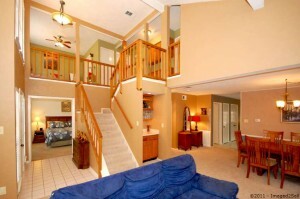 Nicely updated home close to Firewheel Mall and Turnpike. Open floorplan with soaring ceilings, lots of windows and designer colors. Gourmet kitchen with granite counters and backsplash. Formal dining area with built-ins. Updated baths. Updates include 13 SEER HVAC, hot water heater, foundation repair, appliances, carpet, fixtures, ceiling fans, 2-inch wood blinds, and door hardware. Covered patio for entertaining and large storage shed. 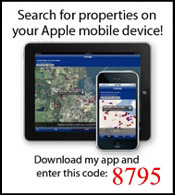 Garland Texas Home For Sale for Current Pricing, Details, Photos, and Virtual Tour. 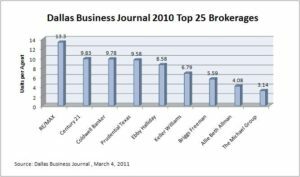 RE/MAX Dallas Suburbs is once again in the top 25 real estate brokerages in North Texas based on closed transactions in 2010. Our office moved from 20th place in 2009 (1,038 transactions closed) to 14th place in 2010 (1,241 transactions closed). We noted that 68% of the brokerages on the list had a decrease in the number of transactions closed between 2009 and 2010. We compiled the data by brand in the chart above. We’re pleased that RE/MAX® brokerages have the highest production per agent at 13.3 transactions per agent than any other brand in the Top 25. 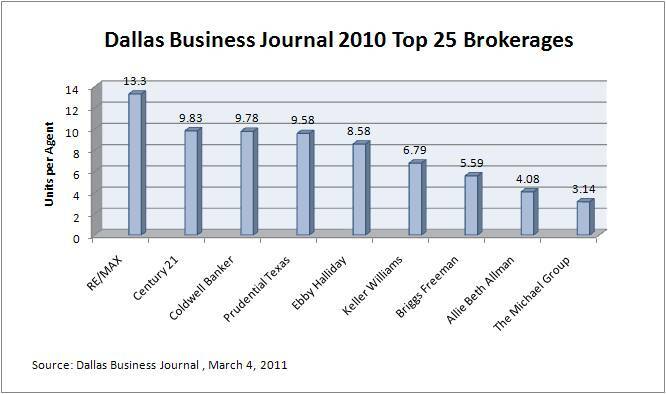 RE/MAX Dallas Suburbs agents closed 15.51 transactions per agent–the second highest in the Top 25 (another RE/MAX® brokerage was number 1).